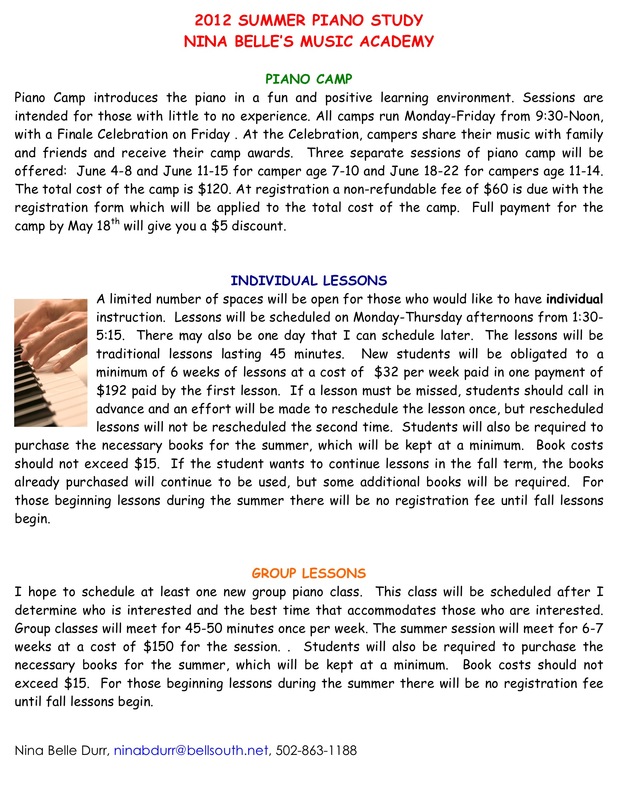 PIANO CAMP AND SUMMER PIANO LESSONS! The first week of piano camp was a great success! Four students camp every day and we learned so much and had so much fun. I had a wonderful student assistant (one of individual students who is starting high school this fall) and my son also came and helped a couple of days. Our end of the week celebration was enjoyed by parents on Friday. Thanks to all who helped make the week so much fun! Week 2 begins on June 11th (that’s tomorrow!) I have four officially registered and look forward to another great week. Due to insufficient registrations, week 3 has been cancelled. If you would like to continue your group lesson experience this summer, I plan to offer a continuation class on Monday and/or Tuesday mornings in July from 11 am- 12 noon. These will begin the week of July 2nd and continue through July 24th. They will be designed to continue in the book “Way Cool Keyboarding for Kids”. 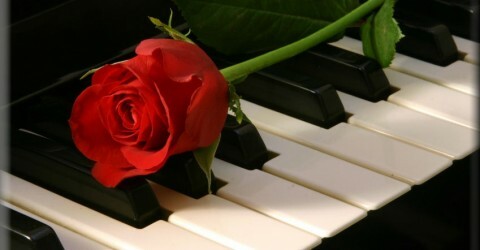 We will briefly review what was learned during piano camp and then continue with the note reading and learning to play melodies and chords with both hands. Some off keyboard activities will also be included to enhance the learning experience. The cost for this 4 week session will be the same as my regular group classes- $96. 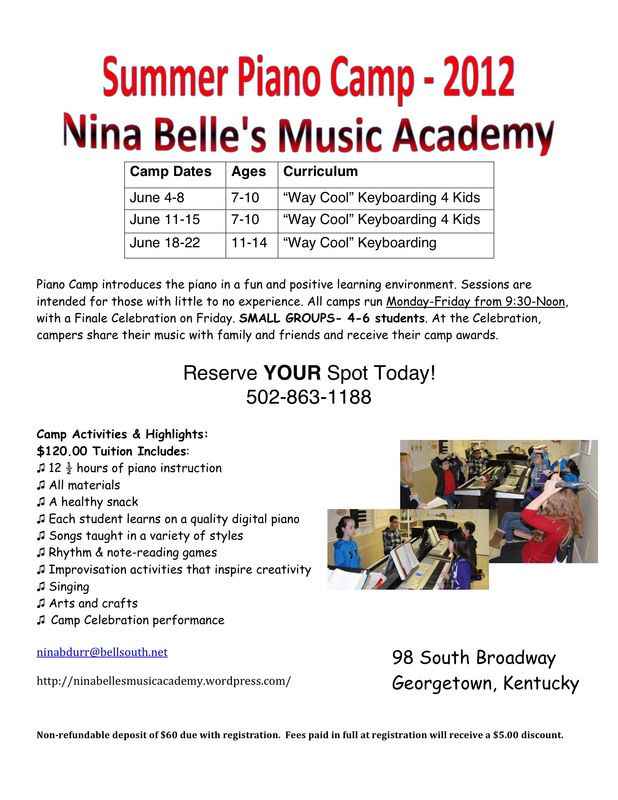 Please let me know at the end of your camping experience if you would like to enroll in this short session to continue the piano experience of your child this summer. I will also need to know which day will work better for you, so I can determine which day to offer the group class or if both days will be offered. (A minimum of 2, maximum of 4 students is required to offer the class.) Looking forward to this possibility for July! CHECK BELOW FOR MORE INFORMATION AND CALL ME ASAP! Summer Piano Camp! Deadline to register is approaching!! OPEN HOUSE!! !